It has been a very, very, busy 2 weeks at Woolkeeper. A good busy though, filled with friends, stitching time with other woolies and lots and lots of wool. 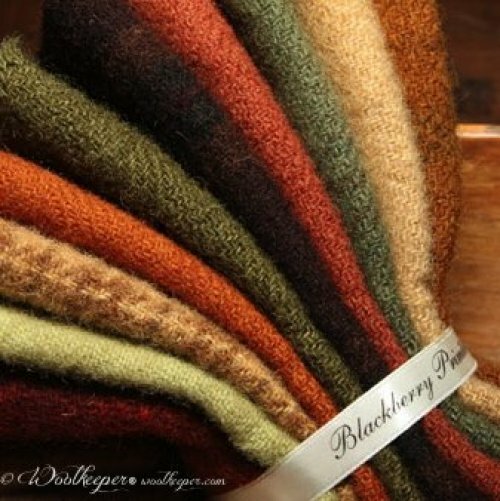 Woolkeeper’s Corner is stocked with bundles of fall and holiday wool. The bundles of fat sixteenths include three 6 ½” x 16” pieces for $10.50. 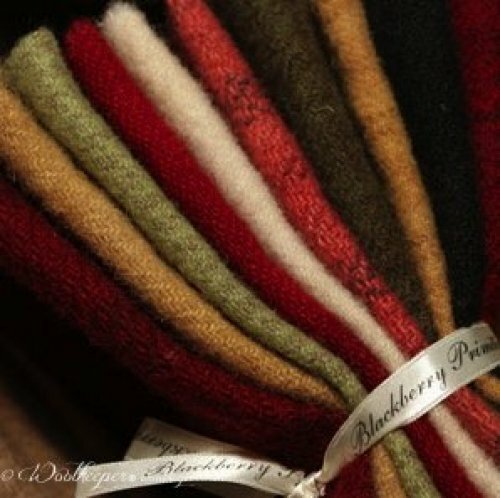 In addition there are bundles from Blackberry Primitives that will be perfect for your fall or holiday projects. 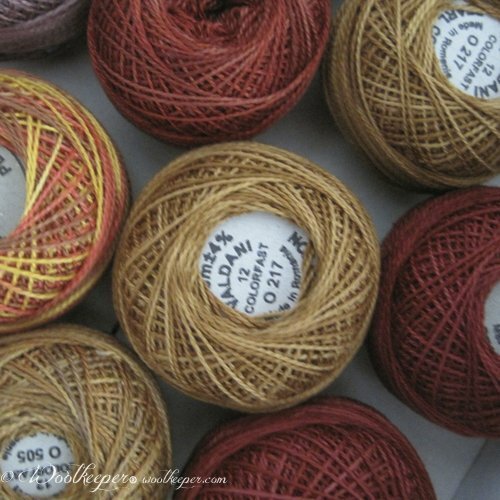 Each of these bundles has 10 different colors and textures, approximately 7” x 8” for $28.00. I put almost 500 new balls of Valdani Pearl Cotton # 12 thread in the thread chest this past week. Come check out all the gorgeous colors. More is on the way. The kits for the Christmas Memories Table Mat by Brandywine Designs are ready. 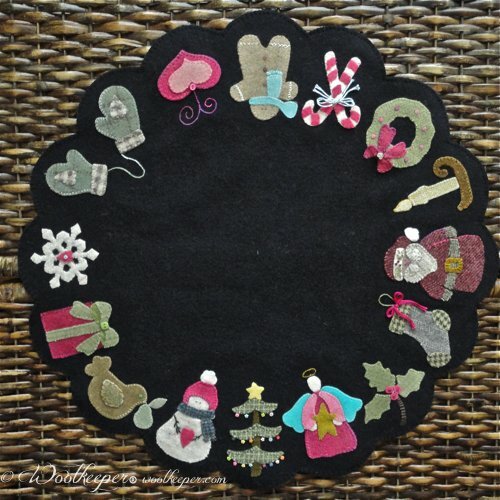 The mat is a generous 21” and full of many gorgeous wool selections and embellishments. I added many buttons and threads for the bows for more embellishment fun. Wool backing is included in the kit. This series will meet once a month, on the second Sunday of the month, from 12:00- 3:00. If you commit with a credit card number to the twelve months of kits, the class fee will only be $5 paid in 2 payments, each for 6 months. The kits will be priced between $20.00 and $30.00. You can attend individual classes for $18.00 a session. 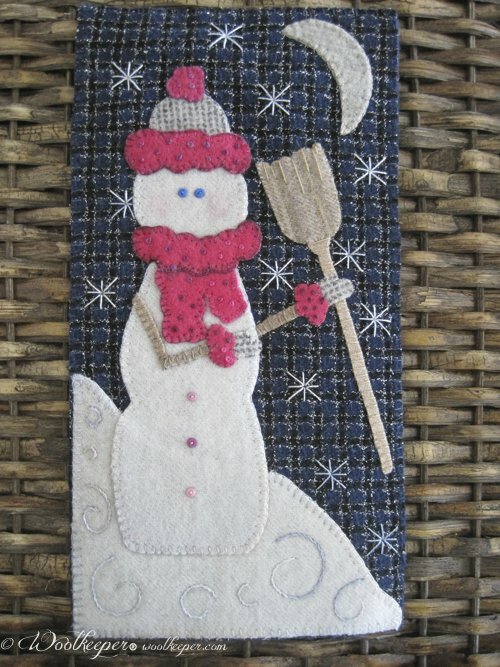 We stitchers meet every Tuesday night at Prairie Stitches Quilt Shop from 6pm-8pm. Bring whatever kind of handwork you want to work on that night or just come and sit a bit. Cost- $5 a session in the Woolkeeper’s Jar. 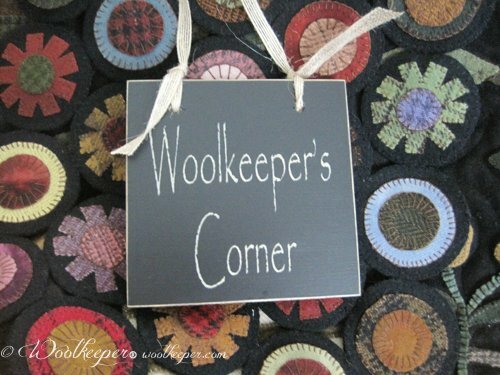 Woolkeeper’s Corner is stocking a variety of Chenille # 24 needles and needle threaders. If you have a favorite one that is not in the corner let me know and I’ll try to get them for you. Also, I have a new chubby marking crayon by Miracle Chalk. It’s great on medium to dark wools. Marks are easily removed with a steam iron. You’ll want to check out the perfect carry along stitch reference guide by Janice Vaine. 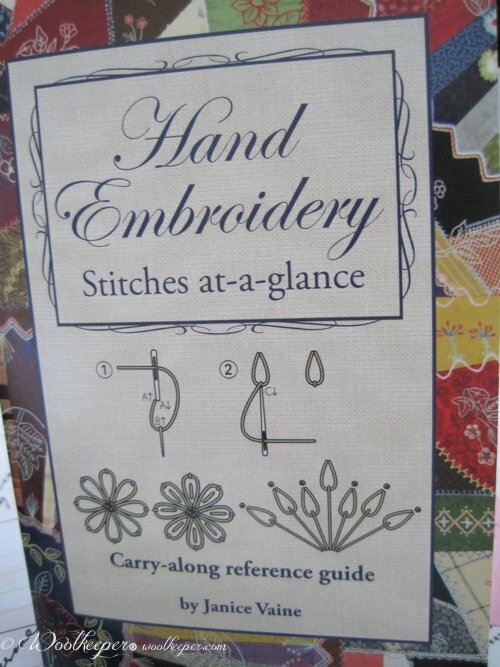 The most used stitches with excellent illustrations and directions are in this handy 4” x 6” guide. At only $8.50 they have been very popular. Wishing you the comfort and joy of working with wool, needle and thread!